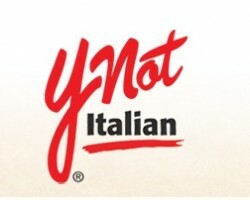 Ynot Italian is one of the leading Italian catering service providers in Chesapeake and the greater Virginia Beach area. The company prepares authentic Italian foods from pastas to pizza. The firm sources ingredients from trusted suppliers to guarantee that every ingredient used is of the highest possible standard. As one of the top catering firms in Virginia Beach, ynot Italian has built a reputation for its exquisite recipes and impeccable customer service. The restaurant’s sauces are prepared from fresh tomatoes sourced direct from the farm. City Deli is a small restaurant located along450 S Battlefield Boulevard in Chesapeake. Despite it being a small restaurant, it has been in existence for over 20 years. In the 20 years that the restaurant has been operational, it has amassed a vast following of loyal customers. 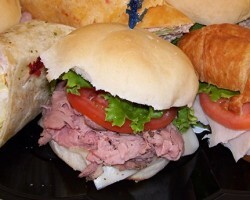 City Deli specializes in catering in Chesapeake, VA. With its small business status, this restaurant is able to guarantee all its clients are 100% satisfied. Opened in 1999, Jake’s Smokehouse Barbeque has become a favorite of many in Chesapeake. 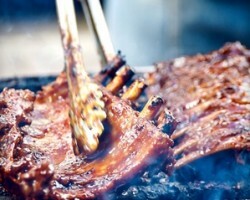 The restaurant’s fame can be credited to its delicious and slow cooked bbq meats. The restaurant uses special sauces to makes its meat tender and scrumptious. The restaurant is in close proximity to several event venues. As such it is in a prim position to offer convenient catering services. The restaurant has been recognized as one of the best Chesapeake catering service providers and was awarded the Best of Virginia Beach Gold Winner. 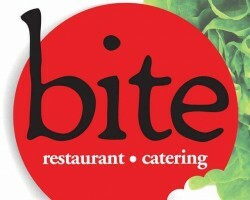 Bit is another restaurant that has become famous for its exceptional catering services. The restaurant specializes in the creation of custom menus for corporate events, weddings, and other special occasions. With a team of catering specialists and trained chefs, the restaurant is able to custom design menus to fit the needs of different clients. The restaurant offers catering services either for clients who wish to have their events at the restaurant. However, the restaurant can also make deliveries to different venues. 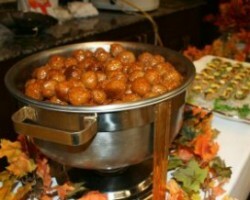 There are numerous wedding catering companies in Chesapeake. However, very few can match the exceptional catering services offered by Heavenly Good Catering Services. This is a local caterer that prepares gourmet food. To ensure that all clients are satisfied the company customizes its services to match the needs of the client. The company offers its catering services to a host of events from wedding receptions, to birthday parties. All foods served are prepared using only the freshest ingredients.